Well, it’s December 22nd, 2011. The Fiddlehead is done, all my hand tools have been sharpened and tuned up again and I have a couple of weeks off work and some precious free time. What better way to end the year and look ahead to 2012 than to think about what boat I should build next? As usual with these projects, I didn’t end up with one for myself, so maybe now it’s time? Something this light would also fit on top of Wendy’s little Nissan, and be light enough for her to get up and down easily. Butternut is featured on pp. 23-25 of John Burke’s book Pete Culler’s Boats. The original book is out of print but WoodenBoat have reprinted a catalogue of Culler’s designs. 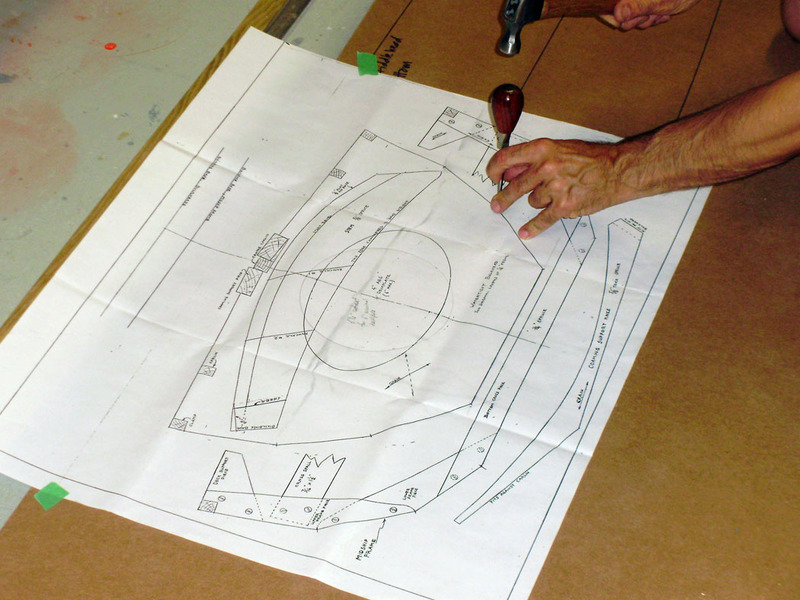 A simple lines plan can be ordered from the Ships’ Plans Department at Mystic Seaport. 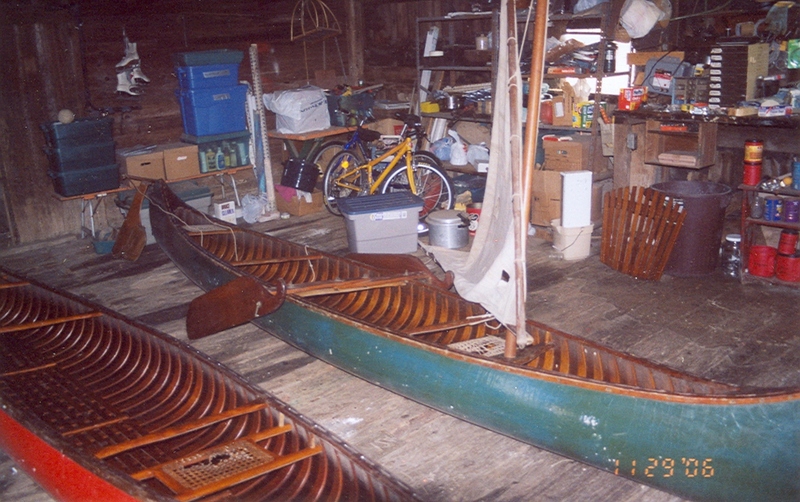 Two little lapstrake canoes, two worthwhile projects, and eventually I’ll probably build one of each. 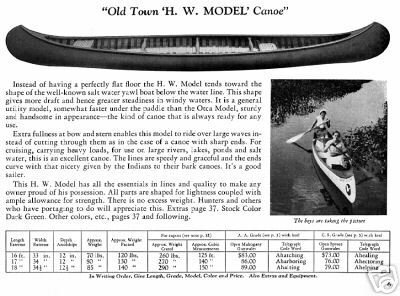 I’m still thinking about the 16-30 sliding seat canoe, though. One of the ideas I’ve been mulling over is turning the 16-30 into a how-to-build book that also includes some of the history of canoe sailing. I’ve made a couple of false starts on this, but they’ve always come up short. I think one of the things holding me back has been the fact that, much as I love the 16-30 and the sliding seat era of canoe sailing, it was a relatively late development, and isn’t really representative of the whole 1870-1900 era when recreational canoeing first flourished. An idea came to me in the shower a while ago (often happens there, perhaps the water hitting my head shakes loose a thought? ): what about developing another historic canoe design for construction in modern materials that could be a companion to the 16-30? 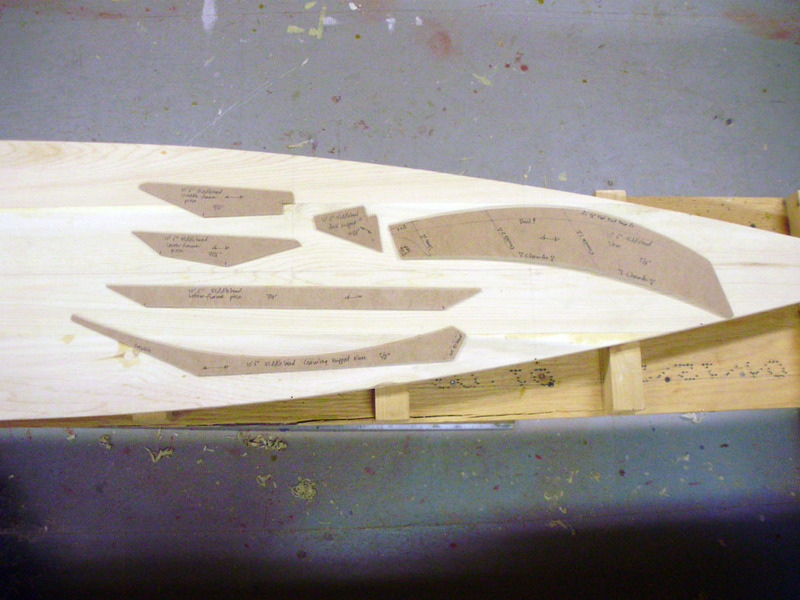 The aims of that project (see the 16-30 page on this blog) were to capture the decked sliding seat canoe sailing experience in a boat that could be built by one person with average tools and skills, in a garage, in a winter, using readily-available parts and materials. 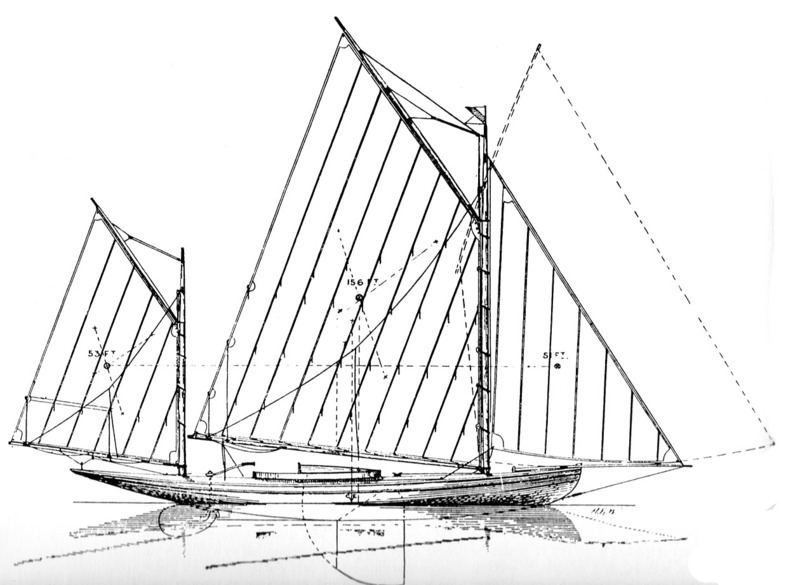 Could I find an original design for a cruising sailing canoe that could be adapted the same way? If I did that, then the book could feature these boats as “bookends” exemplifying the range of canoe sailing types, with some history sandwiched in between, and complete plans and building instructions for both. On to the search for a suitable design. 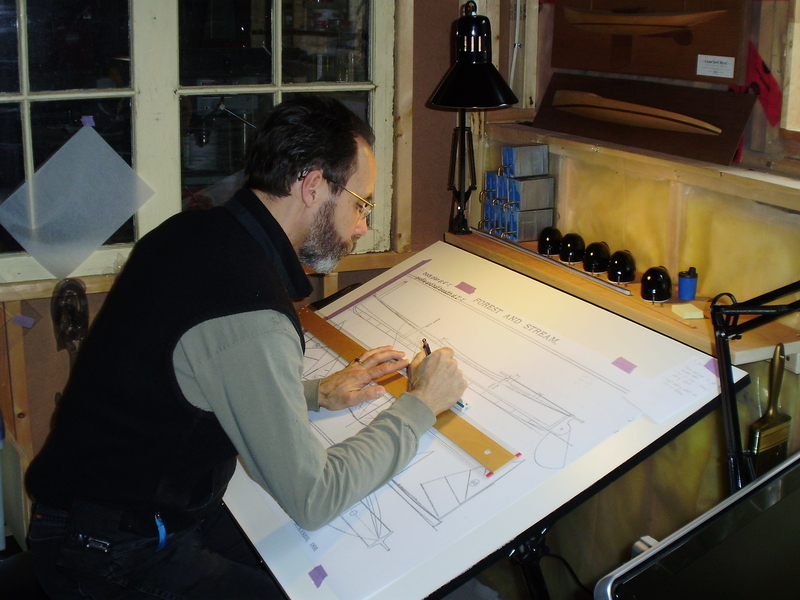 One of the things that made the 16-30 work was that the original boat I was inspired by was a hard-chine hull. I don’t mind turning hard-chine cedar on oak into hard-chine stitch and glue plywood, but I’m not as interested in rendering a round-bottomed hull into a multi-chine stitch and glue boat. Then I came across a design while browsing through Forest & Stream, a treasure trove of canoeing, yachting and other 19th century sporting history. Called Isalo (which is a town in Madagascar, not sure of the connection to canoeing), the boat is a hard-chined hull with a removable sliding seat and two sliding gunter rigs: a cruising outfit of 60 + 18 square feet and a racing rig of 100 + 30 square feet. This design looks as though it has some potential, so the first step is to do a feasibility study by scaling the design up, re-drawing the lines, generating offsets and thinking about how she might be built. I’ll let you know how it goes. In the mean time, here’s an interesting development for those interested in the history of small craft. 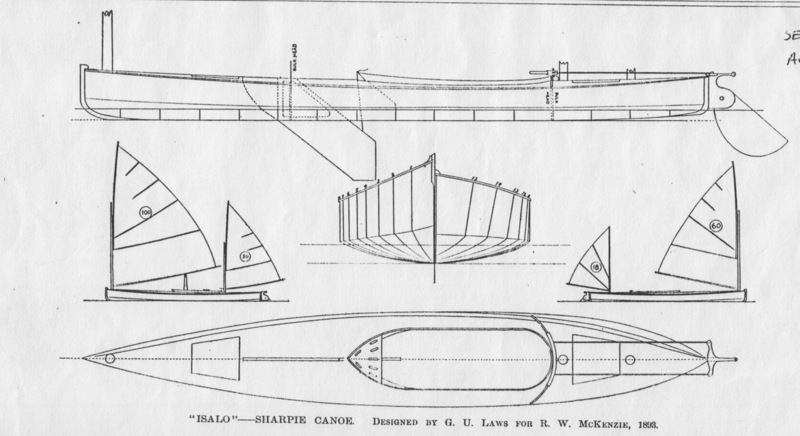 Isalo‘s lines were originally published in The Model Yachtsman and Canoeist, a British magazine which appeared from 1884-1894. It wasn’t what you’d call a mass-circulation piece, so original copies are very hard to find. The Albert Strange Association has just announced that the whole run of 2000 pages has been digitized and made available on two CDs in a searchable pdf format for the very reasonable price of 15 pounds sterling. You can order your copy from the Association’s web site. Perfect Christmas gift for the boating historian on your list. 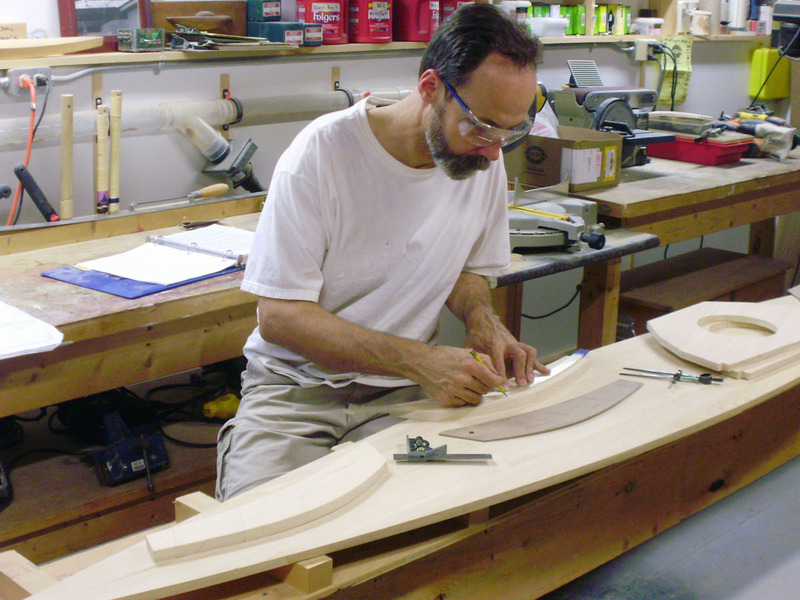 We’re doing a construction diary of Harry Bryan’s double-paddle canoe Fiddlehead. In the last post, we were laying out the shape of the bottom, so let’s pick up from there. A finishing nail is driven in at each point, and then a flexible batten is held against it with other nails to make a smooth curve. This leaves a few small holes, but they tend to disappear as the project goes on. 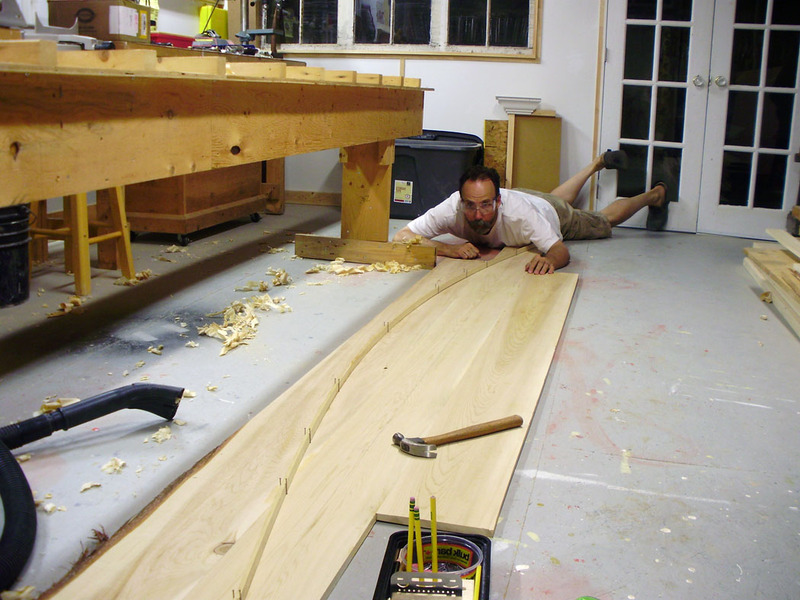 It’s tough being fair in both life and boatbuilding. Before the curve is drawn, it’s important to sight down it and make sure that it’s “fair,” without humps or hollows or flat spots. The longer your view of the curve, and the lower the angle you view it from, the easier it is to spot unfairness. If you see a spot that looks flat or hooked, pulling the nail and watching the batten move will tell you if you have a problem. Sometimes I nail a line and go for a walk before drawing it. 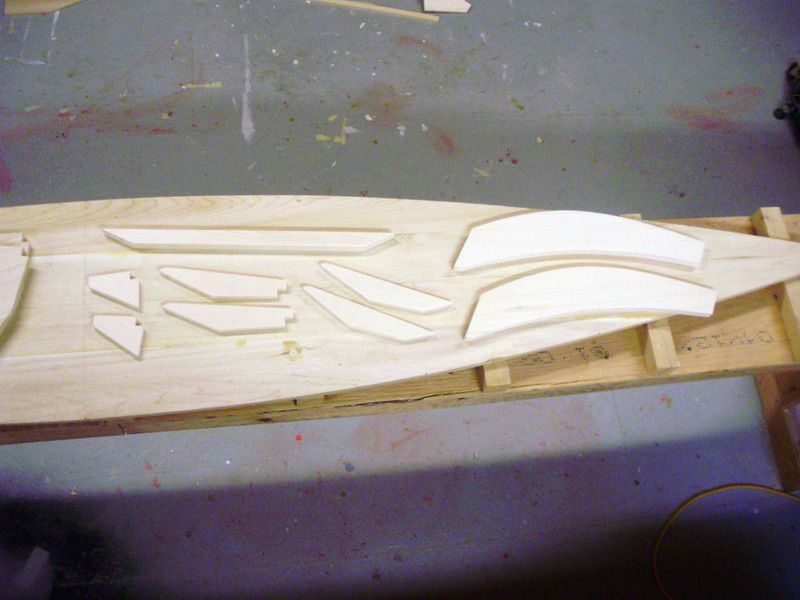 The fair curves of the bottom are bandsawed just outside the pencil lines. 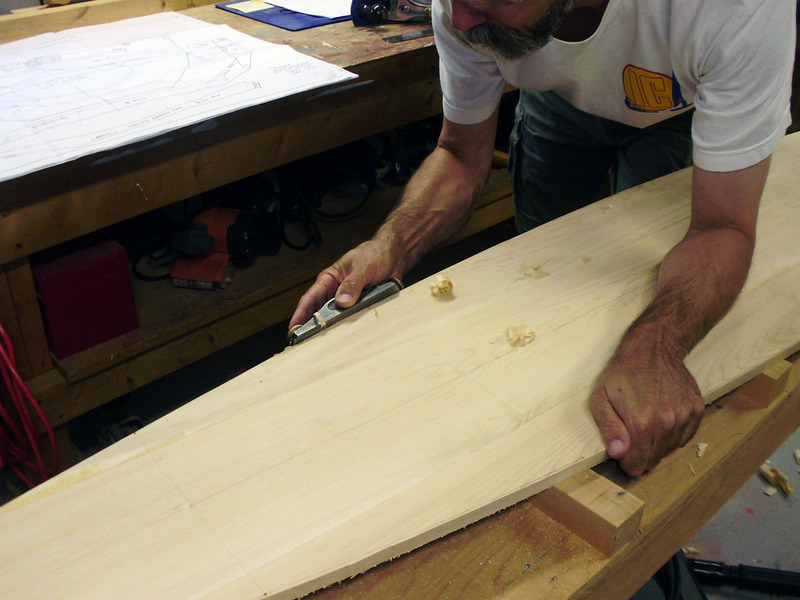 The sides of the bottom are then dressed down to the pencil lines with a block plane. 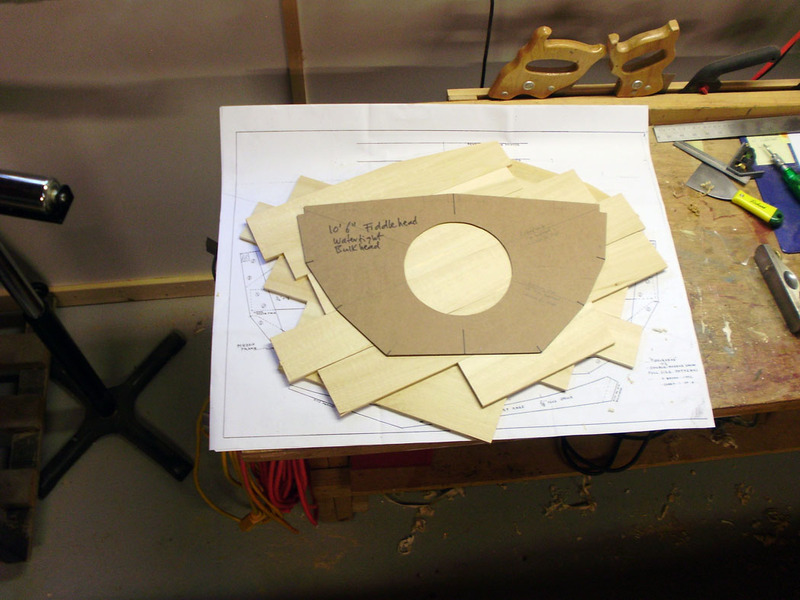 The shape of the watertight bulkhead is transferred from the plan to masonite to make a pattern. 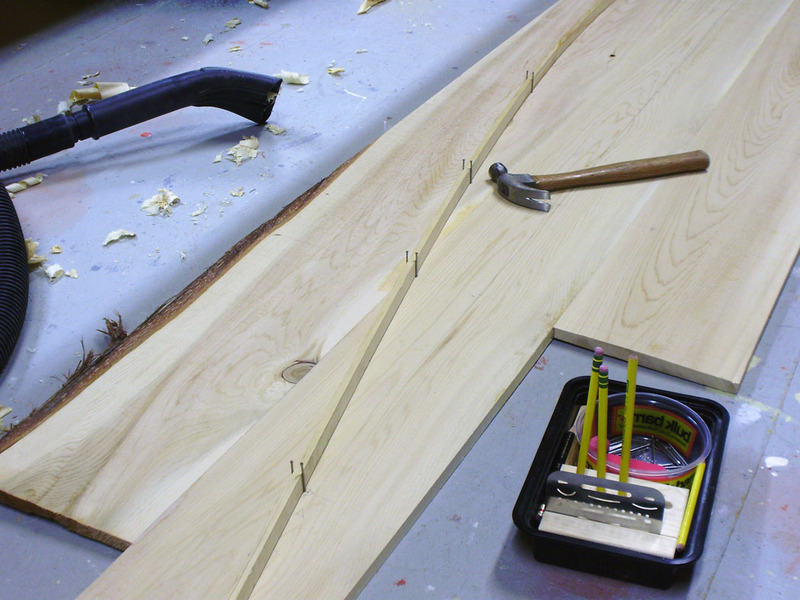 The bulkheads are made up of two diagonally-opposed layers of ¼” cedar glued together with epoxy. 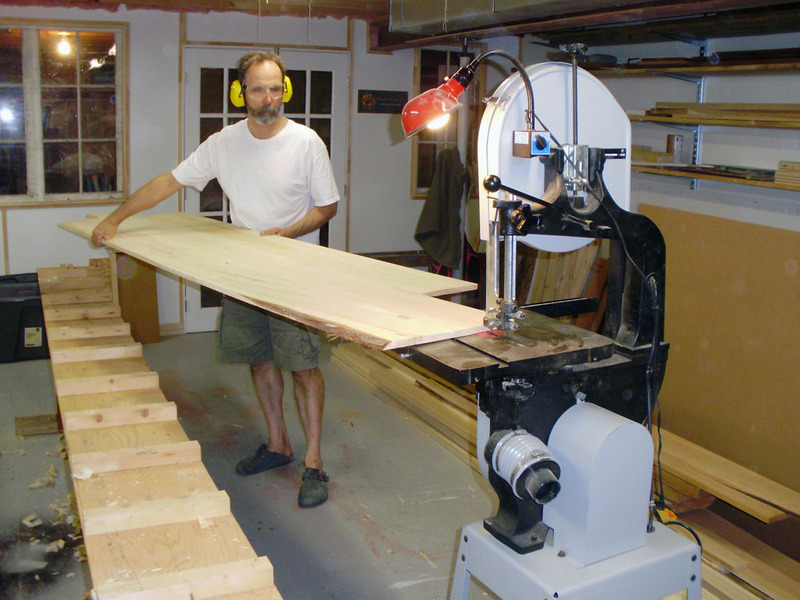 Cut from random widths of cedar, they make economical use of scraps from the bottom planks. 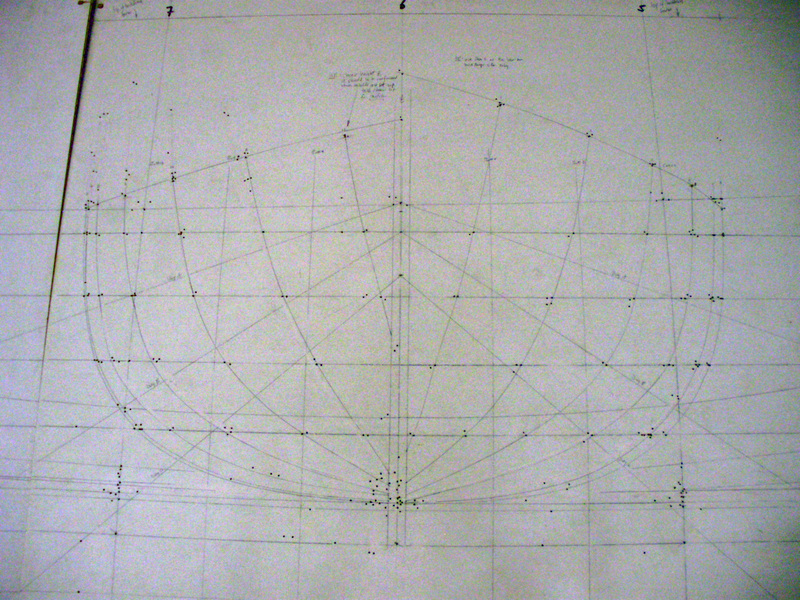 A completed bulkhead with the pattern. 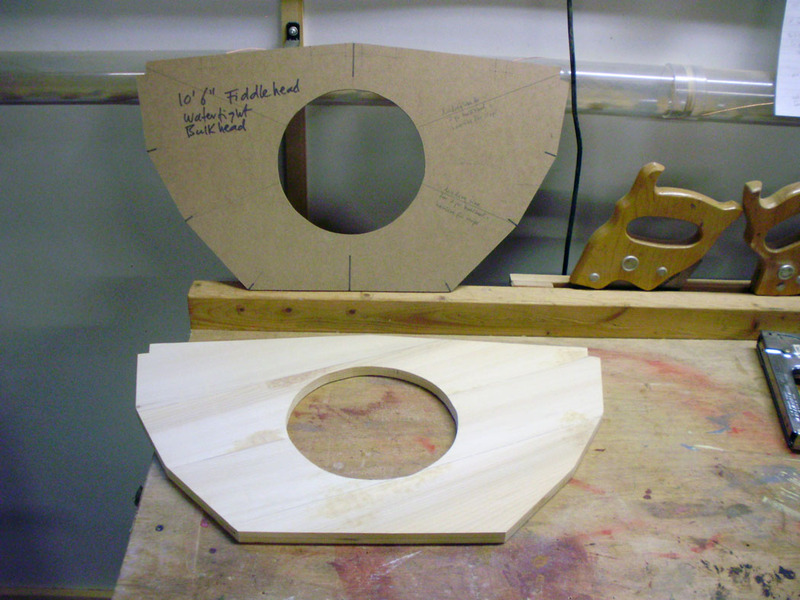 The circular hole in the middle will have a screw-in watertight hatch. Since we’ll be building this boat with classes, I’ve made masonite patterns for all of the smaller parts, including the midships frame, the stems and the coaming brace. These were made the same way as the bulkhead pattern, by pricking through the plan and then joining the points with pencil lines. Finished spruce pieces for the stems and the midships frame. Transferring the curved line showing the start of the stem from the pattern to the stem. An Old Canoe Comes Back to Life: Part 2. Instead of having a perfectly flat floor, the H.W. model tends toward the shape of the well-known salt water yawl boat below the water line. This gives the shape more draft and hence greater steadiness in windy waters. . .For cruising, carrying heavy loads, for use on large rivers, lakes, ponds and salt water, this is an excellent canoe. . .It’s a good sailor. In When the Chestnut was in Flower, Roger MacGregor advances the case that “H.W.” stood for Henry Wicksteed, who designed a number of canoes for the Chestnut company, including “The Canadian Northern Railway Freighting Canoe” and a shorter version called “The James Bay Railway Travelling Canoe.” We may never settle this for certain, but the association of Wicksteed and his small craft design talents with a particular model of Old Town canoe was sufficient for me to become officially interested in owning one. Imagine my delight, then, when an opportunity to own an Old Town came my way. An Old Canoe Comes Back to Life: Part 1 of Many. Now that that’s out of the way, let me tell you about my canoe. This will go on for a while, so settle in and get comfortable. 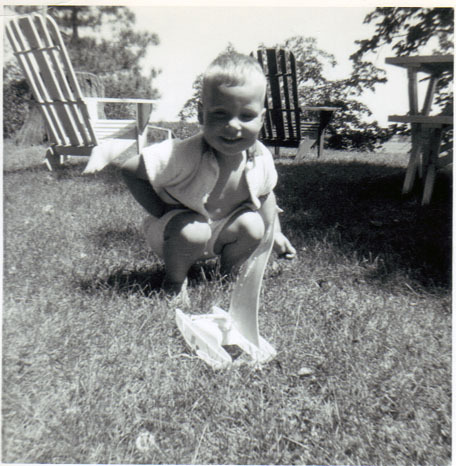 A long time ago, pre-me, my parents both worked at a YM/YWCA camp in Minnesota called Camp Widjiwagan. This was a pretty hard-core canoe-tripping camp, and they had a large fleet (at one point, the third-largest one in North America) of wood/canvas canoes that they used for tripping. Many of them were Old Towns, manufactured in Old Town, Maine, and I’ve often heard my dad talk about using and repairing them. I have a great photo up on my office wall of my dad in his early twenties about to lift one onto his shoulders for a portage. So I heard about Old Towns a lot (and Chestnuts, and Peterboroughs and other makes of canoe), and that’s how this particular thread started. Fast forward a few decades. My dear friend Roger MacGregor, who modestly describes himself as a “canoe fancier,” was working on a book about the Chestnut Canoe Company (called When the Chestnut was in Flower). Roger is the proprietor of the Ivy Lea Shirt Company, which sells clothing, books and other stuff in celebration of some of the great canoe marques of earlier times. Roger worked on this book for some time. In fact, Roger was working on this book, and telling me about it, for so long that by the time it was published I sort of felt it was an old friend. For all of the years we’ve known each other, Roger and I have traded research back and forth. He’s been all over Canada in search of canoeing history, and I’ve spent a lot of time in archives and libraries, and especially the great Metropolitan Reference Library in Toronto. While we were both out and about, I’d keep an eye out for stuff he was looking for, and he’d do the same for me. In the course of researching the Chestnut Canoe Company, Roger several times came across the name of one Henry K. Wicksteed of Cobourg, Ontario and asked me if I had ever heard of him. I had, as it turns out, because Wicksteed was identified as the draftsman of one of the loveliest small boats I’ve ever laid eyes on, at least in plan form. 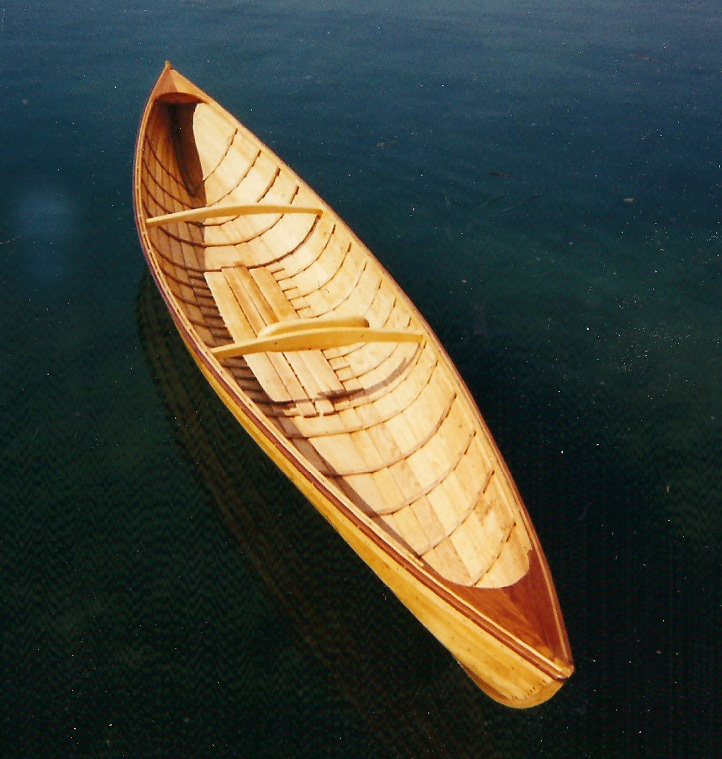 The boat, a canoe yawl called Myra, is included in W.P. 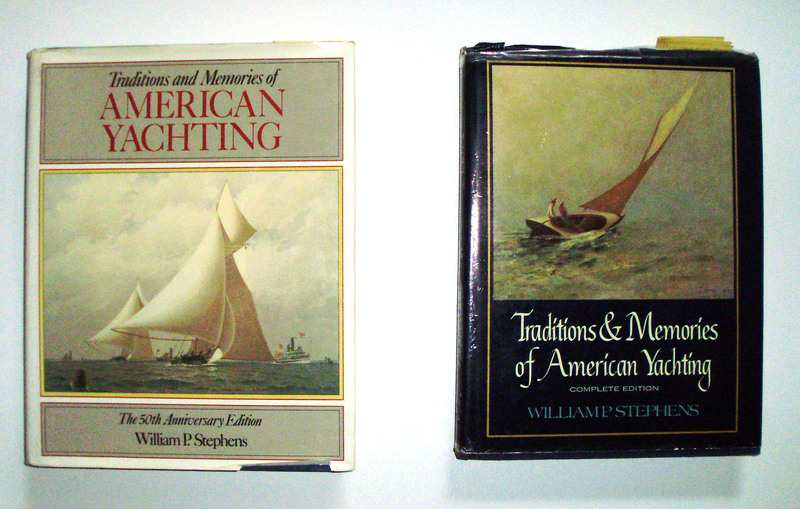 Stephens’ magisterial work Traditions and Memories of American Yachting. Here’s a shot of Myra‘s profile view from Stephens’ book (If you’re interested, Wicksteed’s original drawings are in Mystic Seaport Museum’s Ships’ Plans collection, numbers 1.645.1 and 1.645.2. This is a massive collection, and a treasure trove for the student of maritime, yachting and boating history). 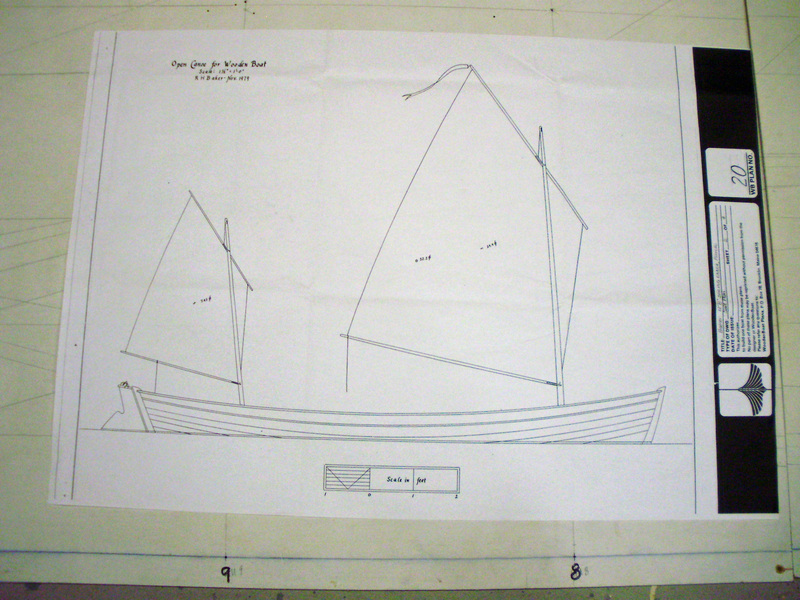 Myra's outboard profile and sail plan. There’s no indication on the original drawings of whether Myra was ever built or not, but building her is certainly on my list of “things to do when I win the lottery.” In the mean time, as a slightly (!) cheaper alternative to building the entire boat, I made a basswood and cherry half model. Myra, designed in 1892, is what sailors in those days would have called a “canoe yawl,” an outgrowth of the canoeing craze that began in the 1870s. That’s a topic on its own, but what’s important here is the Henry Wicksteed connection as the second Old Town-related thread in my canoe story. . . But Really John, Why Boats? Still life with plastic catamaran. I’ve set you up for a big answer, asking a question like that. I hope it’s not a letdown, but I might take the “Hillary Option” (Sir Edmund, not the one who’s married to Bill) and answer my question by saying, “Because they’re there.” This statement of Hillary’s about Everest is almost too good to be true, and perhaps he never said it, but it will do for me, because really, I just like boats. Always have. Probably always will. Because they’re there. Not sure where it comes from, this boat thing. There’s no history of seafaring in my family, no boatbuilders, no admirals, no captains in the China trade. We’re inland Germans on my father’s side, the Volga Deutsche, moving back and forth between Germany and Russia as politics dictated. Well, ok, the Volga is a river, and there are boats on rivers. And on my mother’s side, there are Swedes, who have done a bit of boating in their time, and may have known a few Vikings. But these are faint and distant influences. My parents were ardent canoeists, but for them a canoe trip was as much about the journey, and what might be around the next bend, and spending time out doors, as it was about how you got there. Me, I don’t care so much about where I’m going in a boat as I do about just being in the boat, and I’m frankly as interested in how the boat was made as I am in where it’s going. All I know is that I’ve always liked boats. As a child growing up on the West Coast in Vancouver, we often went to Horseshoe Bay for a picnic. Over in West Vancouver, it’s a busy harbour where you catch the ferries to Vancouver Island. After lunch, the family would head to playground, all five kids, where there were the usual assortment of swings and other apparatus. I might have swung once or twice, but soon it was down to the docks for me, walking up and down and looking at the hundreds of fish boats and pleasure boats in the harbour. My parents always knew where to look for me when it was time to go home. So, this blog will be about boats: boats I like, boats I don’t like. Boats I’ve built, boats I’d like to build. 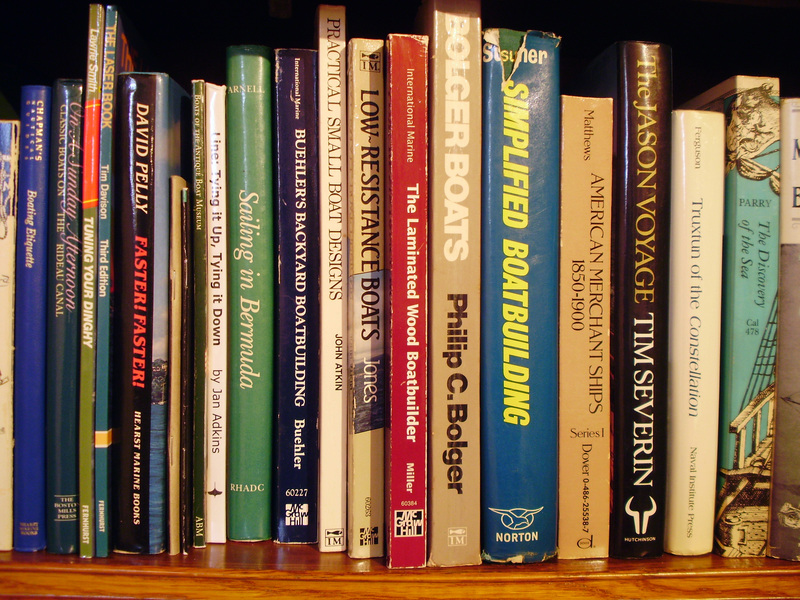 Books about boats, and pictures of boats, and more or less random thoughts about boats. I hope I’ll fall into conversation with some of you out there who, whatever your age, experience and station in life, are still playing with boats.